The passive thermal probe (PTP) is a proprietary development of the workgroup Plasma Technology to diagnose and optimize the plasma-surface interaction. The plasma induced temperature change of the probe is used to determine the energy transferred from the plasma to the substrate surface. The simple geometry of the passive thermal probe enable its operation in low pressure as well as atmospheric pressure discharges. Process optimization of thin film growth, nanoparticle formation and surface activation processes is possible due to the measured total energy flux. 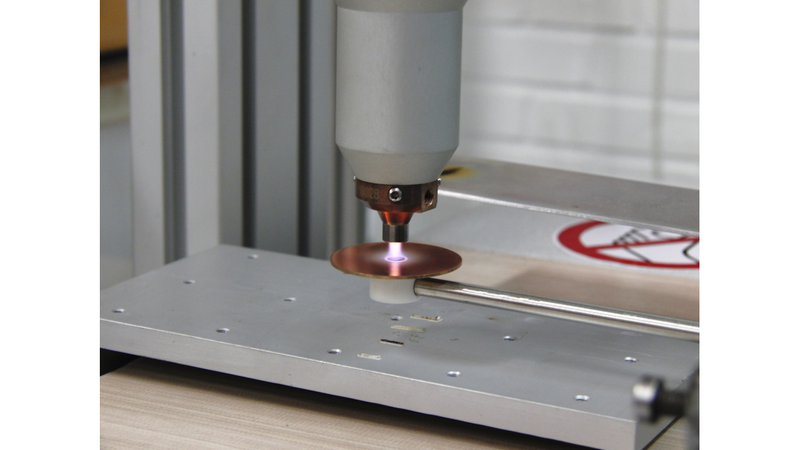 Adapting the passive thermal probe to real industrial conditions and combination with additional diagnostics enable an optimization of the different contributions relevant for the plasma-surface interaction. 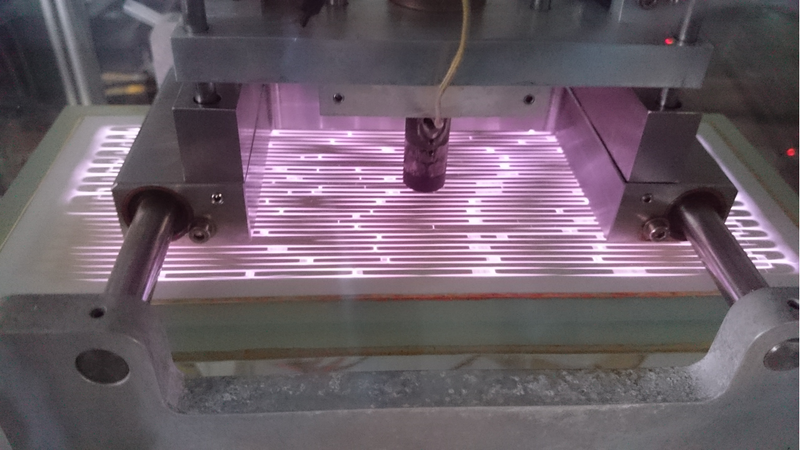 Thus, a more efficient and precise design of industrial surface processes is possible.